It’s all about the details, details and more details this season. From ruffles to bell sleeves, and embroidery to bows. Is this a trend you need to take part in now? The short answer is YES. Yes you need to get in on these trending details. I, for one have been loving the bow details. See Here for one of my favorite and coziest cold-shoulder bow sleeve details and Here for a cozy bell sleeve top. These cold shoulder bow sleeves are everywhere lately. I have a couple and I love them. It’s such a great detail that elevates even the most basic sweatshirt. I find this is the perfect way to get away with wearing leggings and a sweatshirt in public…and still feel cute and put together. It’s is for sure a trend, so for me it’s not something I’d go crazy on, in fact it’s one of those trends that I would really consider the price per wear. I say this because it’s one of those styles that may not last as long. 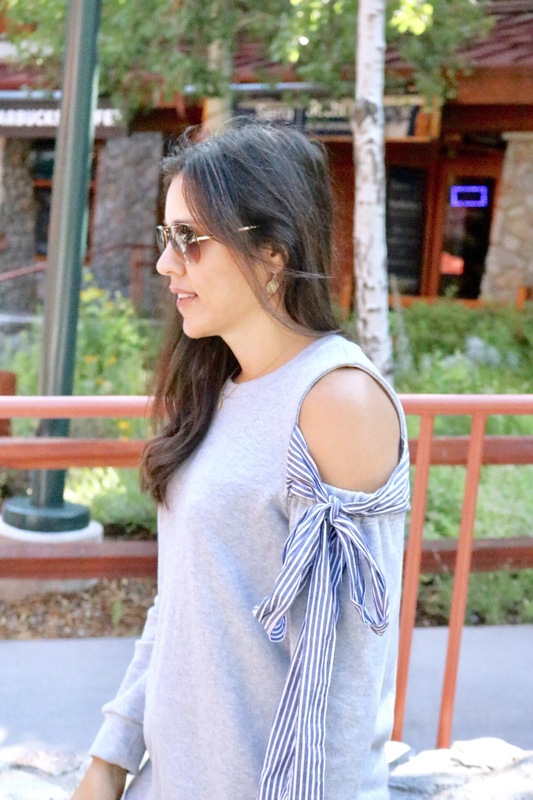 I wore this bow sleeve top a month ago during our trip to South Lake Tahoe. It was perfect for exploring and being comfortable on our road trip home. 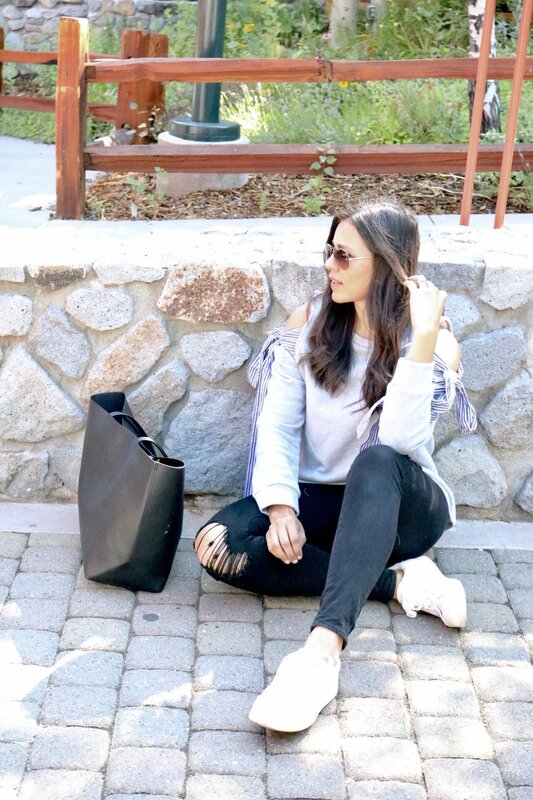 Here are the bow sleeve tops I am currently obsessing over right now for fall. Best part, they’re ALL under $50! What do you think, are you on board with the bow sleeves? I am, I love it because it creates a polished, put together look without any effort…AND you know I’m all about that! I do recommend choosing a bow that’s not as long, especially if you’re with your kids, because they get pulled, caught and untied a fair amount. So, be sure to double knot them if you can. I love the details on those sleeves!! So cute girl! I love your top dear! That cold shoulder + ribbon detail is simply stylish. Such a lovely look.